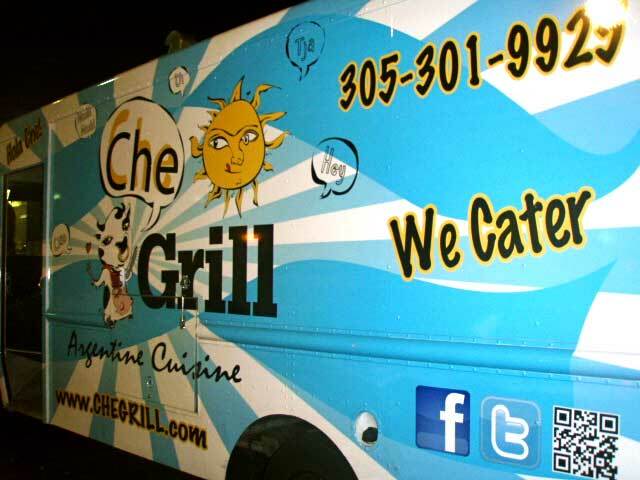 Now that we’ve got that covered, let me introduce Che Grill, a culinary adventure featuring 100 percent Argentine cuts of beef prepared with family recipes. Steak lovers are sure to enjoy this meaty journey that has a menu consisting of various traditional dishes. The menu posted outside the blue and white patriotic food truck summarizes the juicy options, which include Vacio, flank steak and tender in texture; Entreña, skirt steak that is long, flat and flavorful and Churrasco, the traditional Argentine grilled steak (my favorite)! 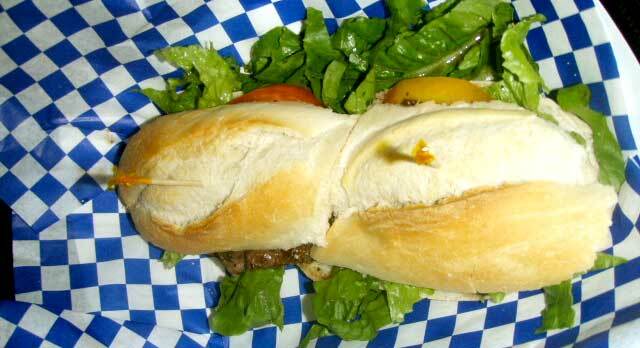 I tried the Vacio Sandwich ($7.75) and Lomito Sandwich ($8.75), the House Specialty. The Vacio steak was seared yet tender, and garnished with lettuce, tomatoes and their delicious signature Chimichurri (a garlic and parsley sauce). The meat was juicy and the flavors bold. 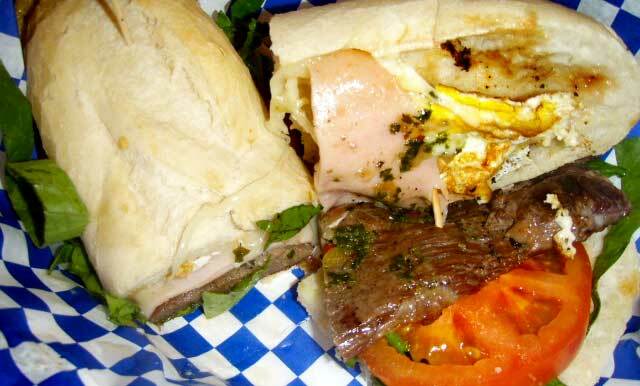 The Lomito Sandwich is a combination of fresh-baked bread served with a thinly sliced churrasco steak, topped with mozzarella, cheese, ham, a fried egg, bacon, lettuce and tomato. The combination of flavors and textures make this a must-have sandwich. And of course, no Argentine dish would be complete without an empanada. Che Grill offers handmade empanadas ($2.45 each) with various fillings, including beef, chicken, ham & cheese and spinach. 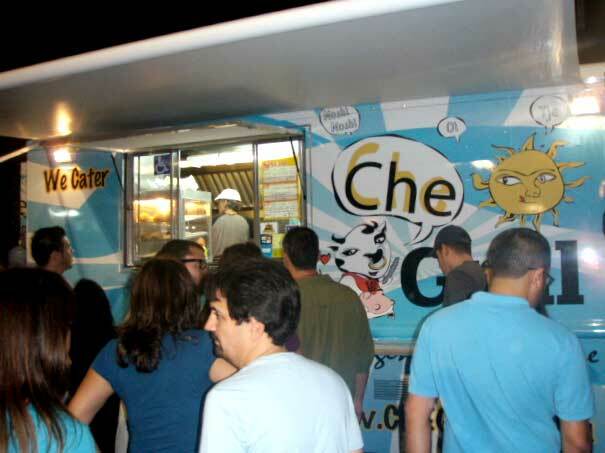 They fold over the thin pastry dough and stamp “Che Grill” on the side. Personalized empanadas? Yes, please! Now that the kids are back in school, I say try one of these grilled creations to say adios to the long days of summer. Grab an amigo and indulge, Che! Prices range from $2.45 – $8.75.